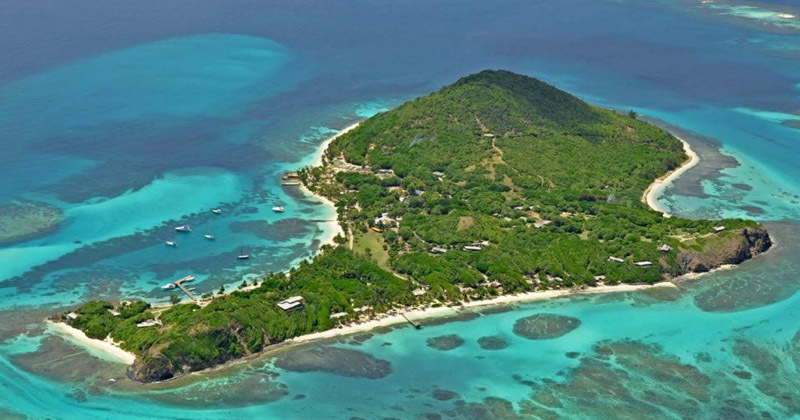 Petit St. Vincent the ultimate private island retreat where wild nature and tranquil luxury combine. This self sufficient haven remains unspoiled and reveals its natural treasures to those fortunate enough to explore its white sand beaches, tropical nooks and oceanic wonderland. This romantic luxury resort offers no apology for its absence of connectivity – with no phones or internet it offers the rare luxury of a genuine opportunity to unplug and rediscover you. Curl up with a loved one or a good book and indulge in the perfect peace of this tropical sanctuary. Built of natural stone and local woods tastefully scattered over the island, the large cottages and villas offer comfort, privacy and understated service. The pastel colours and flamboyant artwork perfectly mirror the tropical gardens and turquoise seas enveloping you in nature’s soothing palette. Bask in the barefoot grace of this peaceful oasis whilst lazing in a hammock, or swim in the warm seas. Nothing disturbs the idyllic serenity of this secluded hideaway or the breathtaking beauty of its mesmerising views. Two restaurants serve a fresh and varied menu paying homage to local ingredients. Linger over dinner at the iconic hillside bar and restaurant overlooking the harbour. Indulge in barefoot dining by the water’s edge, under thatched roofs and palm trees at the beach restaurant enjoying fresh grilled lobster and other delicacies. Hoist the yellow flag for room service whilst raising the red flag ensures your privacy. Surrounded by warm turquoise waters and gently rolling surf this luxury private island offers an exclusive island hideaway unlike any other. This tropical barefoot hideaway consists of just 22 ocean view cottages; half are elevated on various bluffs around the island, offering stunning views of the archipelago, and the remainder are luxury beach front villas. All are delicately positioned around the island to offer guests’ the upmost in seclusion and privacy. For the ultimate Caribbean island getaway, PSV can even offer entire private island rentals so you and your group can enjoy the personalised touches of the island resort all to yourself. All cottages and villas are extremely spacious, have bedrooms with super-king size beds, lounges, both indoor and outdoor dining areas, as well as ample sun-decks or beach front gardens. They are all air conditioned, fitted with Bose iPod docks, Nespresso coffee machines, Italian linens, soft Mascioni towels and Bvlgari bathroom amenities which come as a standard. Aside from offering opulent comforts and ultimate seclusion there exists a deliberate absence of connectivity to the outside world, offering guests the rare chance to unplug from their normal day to day urban life: there are no TVs or internet in the luxury villas and bluff cottages, encouraging you to unwind, relax and enjoy each other’s company without any unwanted distractions. The island offers two restaurants providing understated yet attentive service; the casual Beach Restaurant, where you can sit with your toes in the sand adjacent to the restaurant’s own live lobster pool, and the Pavilion Restaurant perched atop a hill overlooking the picturesque harbour, offering a more refined fine dining experience. Both restaurants have delicious gourmet cuisine using vegetables, fruits, eggs and herbs from the island’s expansive organic gardens. Like everything else on the island, things are pretty simple and relaxed around here. 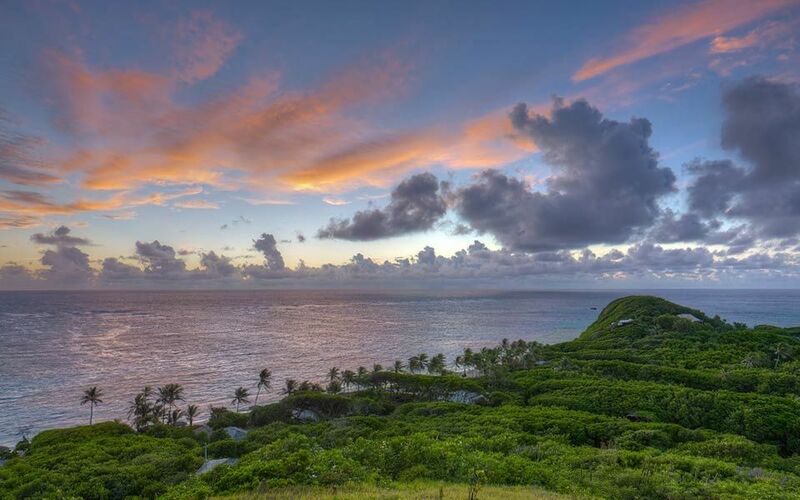 While nature runs its course, everything on this private island is channeled into providing you with a laid back Caribbean getaway, where you can indulge in as many or as few activities that inspire you. Our team of spa therapists is there to cater to your senses and help you let go and rejuvenate with no pressure or schedule to keep. And with 4 open-air (but optionally air-conditioned) treatment rooms, many choices await. From a simple facial to a deep tissue massage, a score of treatments are at hand. Or simply meditate and transpose yourself into another realm on our relaxation deck surrounded by lush vegetation and all the quiet you can get. Petit St. Vincent specializes in hosting personalised weddings, anniversaries and other special celebrations. Amongst hidden coves, tropical woodland and soft powdered white sand beaches, the private island’s 115 acres offer a variety of stunning idyllic settings that overlook the glistening turquoise waters of the Caribbean Sea. 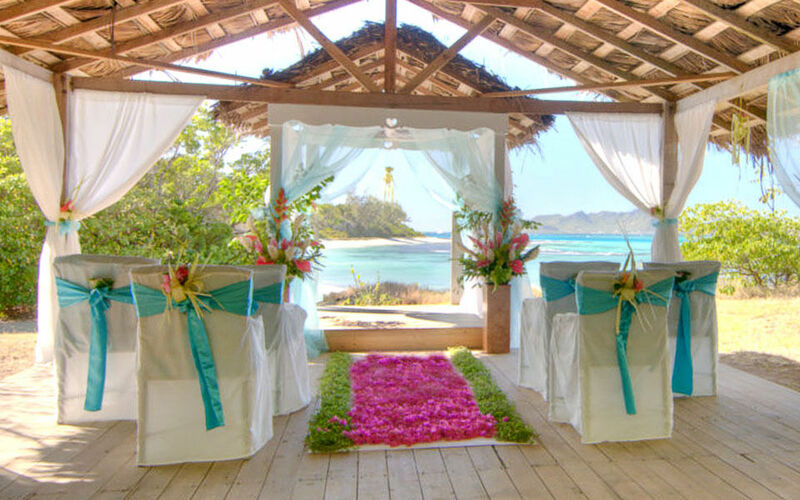 Whether it be a small intimate ceremony or a full island rental, our wedding co-ordinator will help arrange a truly magical ceremony. 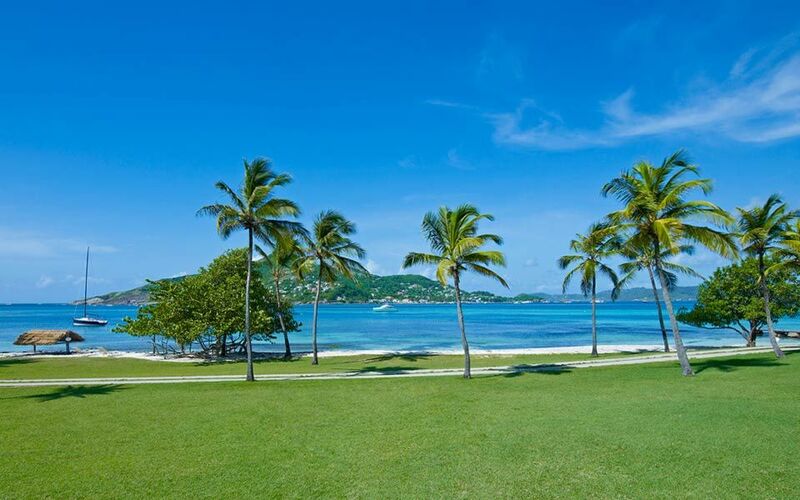 From the sweeping vistas of Telescope Hill to the enchanted beaches, Petit St. Vincent is the epitome of an elegant and private setting for a special celebration with family and friends.